Manicure & Pedicure - Vicki Taylor Complementary & Beauty Therapist. Contact Norwich, Norfolk 01603 514195. Cruelty free, paraben free and vegan friendly prodcuts. Treatments to improve the health and appearance of your hands and feet. Promoting strength and growth to your nails. A manicure improves the texture, health and look of both your fingernails and skin on your hands, as well as leaving them soft and supple. Your hands are often neglected as we use them for washing up, gardening to walking the dog. This can results in broken, flaky, brittle out of condition nails and dirty ingrained skin. A pedicure is great way to look after your feet as it will removes dead skin, softens hard skin and shapes your toenails. Leaving them relaxed, exfoliated and hydrated. Your feet are often the last area of the body that gets attention but they do so much from running in sweaty trainers to driving the car. Feet can be prone to fungal infections, calluses, thickened and ingrowing nails. Prevention is much better than cure with nail and feet conditions such as athlete’s foot, corns and warts. Give your nails a good clean and remove any traces of old nail polish before your treatment. I would recommend that you bring flip-flops or open sandals to wear after your pedicure. To allow your freshly painted nail polish to dry properly. Fast drying, double density pigment, matching nail Polish and Gel Overlays. Formaldehyde, Formaldehyde Resin, Toluene, DBP and Camphorfree. Cruelty free and vegan friendly. Can last up to a week depending wear and tear. Up to three weeks on toe nails. A mini treatment to shape & tidy your nails and hydrate your skin. File, cuticle tidy, hand & arm massage, strengthener and cuticle oil. A maintenance treatment to help you keep your hands and nails stay in tip top condition. File, cuticle tidy, hand & arm massage, base coat, polish and top coat. An essential therapeutic treatment for hard working dehydrated hands. Includes the same as a manicure – plus exfoliation & deeply penetrating paraffin wax heat treatment using warm mitts to lock in the moisture. Leaving your hands feeling relaxed, soft and supple with healthy strengthened nails. Soak, file, cuticle tidy, hard skin removal, foot massage, nail strengthener and cuticle oil. A maintenance treatment to help you keep your feet and nails stay in tip top condition. Soak, file, cuticle tidy, hard skin removal, foot massage, base coat, polish and top coat. An essential therapeutic treatment for hard working dehydrated feet. Includes the same as a pedicure treatment plus exfoliation & deeply penetrating paraffin wax heat treatment using warm booties to lock in the moisture. Leaving your hands feeling relaxed, soft and supple with healthy strengthened nails. ADVICE – For pedicures don’t forget your flip flops. A Gel Overlay applied onto your natural nail. Flexible coating moves with the natural nail, making them strong and flexible with a chip resistant glossy protecting them whilst allowing them to grow without breaking. On average lasts up to 3 weeks. Matching Gel and Nail Polish. Formaldehyde, Formaldehyde Resin, Toluene, DBP and Camphor free. Cruelty free and vegan friendly. File, cuticle tidy, vitamin dose, executive base, gel base coat, gel overlay, top coat, hand & arm massage and cuticle oil. Gentle soak off treatment using Bio Sculptures specialist gel remover. Soak off removal, file, cuticle tidy, hand and arm massage with hydrating moisturising lotion, strengthening polish and cuticle oil. Leaving your hands soft, supple and nourished with strengthened nails. Soak off treatment using Bio Sculptures specialist gel remover with a gel overlay. File, cuticle tidy, hard skin removal, vitamin dose, executive base, gel base coat, gel overlay, top coat, foot massage and cuticle oil. Gentle soak off treatment using Bio Sculptures specialist gel remover. Soak off removal, file, cuticle tidy, foot massage with hydrating moisturising lotion, strengthening polish and cuticle oil. Leaving your feet looking healthy and nourished with strengthened nails. Highly pigmented, matching Nail Lacquer and Gel polish. Can lasts up to one week on fingernails and up to three weeks on the toenails. Toluene, Formaldehyde, Dibutyl Phthalate (DBP), Formaldehyde Resin, Camphor, Ethyl Tosylamide, Xylene, MEHQ/HQ or Gluten. Paraben free, cruelty free and vegan friendly. File, soak, cuticle tidy, hand & arm massage, base coat, polish and top coat. An essential therapeutic treatment for hard working dehydrated hands. Includes the same as a manicure plus exfoliation & deeply penetrating paraffin wax heat treatment using warm mitts to lock in the moisture. Leaving your hands feeling relaxed, soft and supple with healthy strengthened nails. An essential therapeutic treatment for hard working dehydrated feet. Includes the same as a pedicure treatment, plus exfoliation & deeply penetrating paraffin wax heat treatment using warm booties to lock in the moisture. Leaving your hands feeling relaxed, soft and supple with healthy strengthened nails. A vitamin-infused Orly Gel polish with antioxidants vitamin A & E promote healthy nails. Pro-Vitamin B5 protects nail structure. On average lasts up to two weeks on finger nails and up to three weeks on the toenails. Applied to the natural nail. Paraben free, cruelty free and vegan friendly. File, cuticle tidy, tip primer, base coat, gel polish, top coat, hand & arm massage and cuticle oil. Gentle soak off treatment using Orly’s specialist gel remover. Soak off removal, file, cuticle tidy, hand and arm massage with hydrating moisturising lotion and cuticle oil. 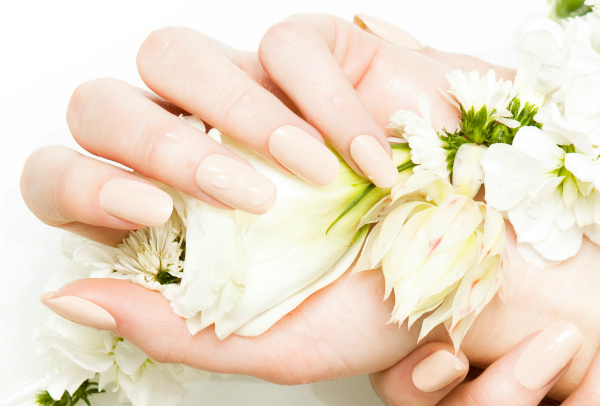 Leaving your hands soft, supple and nourished with strengthened nails. 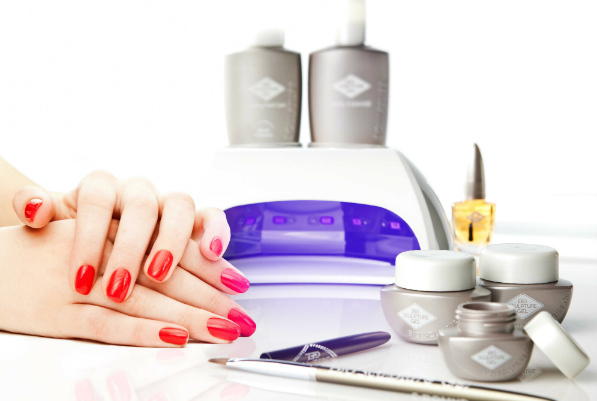 Soak off treatment using Orly’s specialist gel remover with a gel polish manicure. File, soak, cuticle tidy, tip primer, base coat, gel colour, top coat, foot massage and cuticle oil. Soak off removal, file, cuticle tidy, foot massage with hydrating moisturising lotion and cuticle oil. Leaving your feet looking healthy and nourished with strengthened nails. Gentle soak off treatment using Orly’s specialist gel remover with a gel polish pedicure. Soak off removal, file, cuticle tidy, tip primer, base coat, gel colour, top coat, foot massage and cuticle oil. If you have a busy and active lifestyle this can lead to a build up of hard skin and calluses on your feet. Activities that put repeated pressure on the foot, such as running or walking, can cause calluses to form. Athletes are particularly susceptible to them. Making this part of your body very uncomfortable, sore and unsightly. Especially if your wear sandals, slingback shoes or walk barefoot regularly. Calluses are hard, rough areas of skin that are often yellowish in colour and can crack if the skin is extremely dry. They can develop on the heels and often on the skin under the ball of the foot too. The softening patches are applied to the pads of your feet and your feet are then wrapped in cling film to keep the patches in place. The patches are then removed when all the skin has softened and the skin is scrapped away with a specially designed plastic scraper. Then buffed over with a foot file to remove the remainder of dead skin. Moisturising cream is massaged into your feet to leave them feeling soft and supply. The Peel is made up with as many natural ingredients as possible and still gives great results. If you have a corn on your foot, you should see a podiatrist, also known as a chiropodist, who can advise you about treatment. Softening patches remove hard dry rough skin. Leaving your feet soft and supple. Soak, file, cuticle tidy, callus peel softening patches, hard skin removal, foot massage, cuticle oil and nail strengthener. A maintenance treatment to help you keep your feet and nails stay in tip top condition. Including a Callus Peel to remove hard dry skin. Soak, file, cuticle tidy, callus peel softening patches, hard skin removal, foot massage, base coat, polish and top coat. A form of deep heat therapy, liquefied paraffin wax is very efficient at absorbing and retaining heat. This treatment uses warm molten wax, as it’s applied to the skin, it solidifies, giving up it’s latent heat to provide a deeply warming therapeutic treatment for your hands and feet. Using a paraffin wax bath your hands or feet will be submerged into the warm paraffin 3 to 5 times so the wax totally covers the skin and locks in the moisture. Then will be inserted into plastic bags then placed into warm mitts or booties. One of the most effective methods of applying deep heat to relieve pain. Immersing the hands and feet into the paraffin wax allows the pores to opened allowing toxins and dirt to be released. When the wax cools it benefits the skin by sealing in hydrating creams. Help with tendon and ligament ailments (tendonitis, sprains and pulled muscles). Soothed aching joints (particularly beneficial for those that suffer with arthritis, osteoarthritis rheumatic pain and fibromyalgia). It helped increase range of motion, relieve severe dryness and ease stiffness in over worked hands & feet. With a low melting point Hive peach Paraffin Wax beads soften and hydrate your hard working dry hands and feet with a relaxing yet refreshing peach aroma delivering a therapeutic, warming and moisturising treatment. Vegan Friendly, Cruelty and Paraben Free. Intensive deep heat hand treatment to repair and restore dry hard-working hands. File, cuticle tidy, exfoliating hand scrub, hand and arm massage using moisturisng hand cream to leave your hands feeling deeply hydrated and nourished. Followed by warm therapeutic paraffin wax. Intensive deep heat foot treatment to repair and restore cracked heels and dry feet. File, cuticle tidy, hard skin removal , foot and lower leg massage using moisturisng foot cream to leave your feet feeling deeply hydrated and nourished. Followed by warm therapeutic paraffin wax. I really enjoyed my first ever manicure with Bio-Sculpture Gel. The finish is gorgeous and feels so natural. Vicki was relaxing and gentle and very thorough, guiding me through aftercare and how to remove the product without damaging my nails. Definitely considering more treatments in the future!